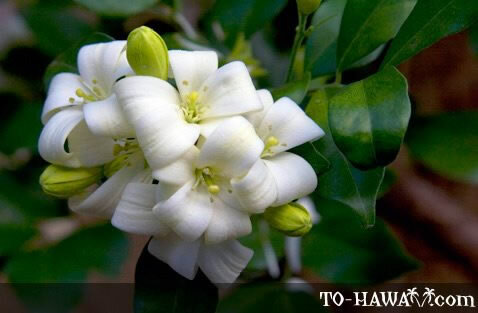 Mock Orange is a shrub with thick foliage and sweet-smelling white flowers. The flowers typically bloom in summer and fall. It can grow to be as tall as a tree, but it is usually kept as a hedge about 6-8 feet (1.8-2.4 m) in height. The shrub has red berries that are not edible.